S usan first caught the taste for wine working as a server in London, back when a “business lunch” for two meant opening at least three nice bottles! After stints in Sydney and Los Angeles, she landed a job in San Francisco working with John Ragan, an inspiring wine director who led her to consider wine as a career. Initially, Susan’s tastes were influenced by white Burgundies and Mosels; subsequently, she became smitten by Champagne and the Loire. She jumped at the chance to work with V59 and its artisanal wines. 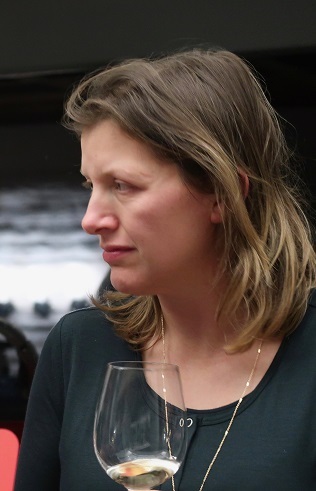 Since she began with V59 in 2013, Susan’s highlights have been visiting the welcoming growers, being teased by JP Charlot in Volnay, and getting to know many wonderful and hardworking individuals in the industry who contribute so much to the vibrant SF Bay Area wine culture.